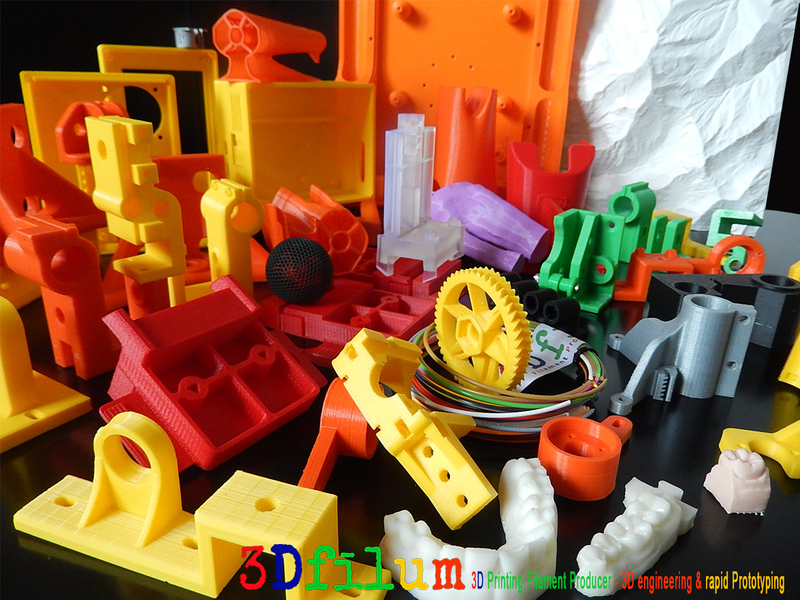 3Dfilum offers advanced additive manufacturing and rapid industrial 3D prototyping services for many industrial sectors such as general mechanical applications, automotive, medical, architecture, fashion, consumer goods and more. Ask us for info at info@3dfilum.it. We have more than 20 years experience in 3Dmodeling Projects Design and 3Dprinting, also in reverse engineering for pre-production or final ready to use models. We provide functional short-run production-quality ABS – Nylon -Resins parts, durable TPU rubber-like components and Different PLA coloured pieces. We either process your own cad project design or we can design it upon your requests and specifications. We have a workforce of different sizes printable areas professional 3Dprinters ranging from 3DResin SLA models to FDM models and with tolerances from 0,2 to 0,025 mm. We also have a workforce of milling CNC and laser cutter/engraving machinery at our disposal to process or post-process several types of models in foam, plastics, wood, metals, glass to quote a few. 3Dfilum helps you to get exactly what you need – fast. Get your object cost quotation now: send an enquiry email with your needs or requests to info@3dfilum.it.